After Crystal Cruises decided to venture from the oceans to rivers, we speculated that other brands might follow suit, and now Fred. Olsen Cruise Lines has: The UK company plans to sail the Brabant beginning in 2018. Upon further inspection, it turns out the Brabant will actually be the 2006-built Amadeus Princess renamed for Fred. Olsen’s purposes. That means its presumably chartered program will more closely mimic how Celebrity Cruises once collaborated with Amras Cruises, or how Adventures by Disney is still partnering with AmaWaterways. Crystal Cruises, on the other hand, started its Crystal River Cruises division with a permanent takeover of an existing riverboat followed by complete new-builds. So, again we ask: Might even more ocean cruise lines soon be inclined to roll down the river? The river cruise market boom is beginning to slow a little. Ubiquitous Viking River Cruises only christened two of its signature Longships this year and does not have any additional new ones currently scheduled to launch next year. (It does have the Viking Ra, a heavily redesigned existing vessel, set to come online in Egypt in 2018, however.) Conversely, AmaWaterways is growing even bigger with the new double-wide AmaMagna planned for 2019. With such characteristic ebbs and flows, there definitely remains room for other players to make a move. European rivers often appear saturated with ships, but additional charter opportunities seem to abound. Major US companies like Carnival Corporation, Norwegian Cruise Line Holdings Limited and Royal Caribbean Cruises Limited are the most likely to consider, albeit likely with purpose-built riverboats. READ MORE: What Other Ocean Cruise Companies Could Enter the River Market? The question is whether or not they would apply any of their current ocean brands to the river or if they would establish new lines for the purpose. The decision would have to be made whether a Holland America River Line, Oceania River Cruises or Celebrity River Cruises make sense as example sub-brands for each of the big three corporations respectively. Previously, it appeared that Norwegian might corporately want to stay out of the river market to give Crystal Cruises the edge with their link via Genting Group, but now the financial separation is growing wider, making direct competition fair game. It’s still possible that the domestic brands would prefer to test the waters locally, however, heading out on the Mississippi over the Danube first. Getting loyalists to try a new product closer to home is always an easier sell. Then if it proved successful, it could be expanded abroad. Otherwise, a completely new brand under one of the corporate umbrellas could be a better approach to drawing from several pools of loyalists at once to build up a new river cruise base. Of course, the timeline for any of this is likely dependent on the success of another current experiment: Cuba. As long as the Trump administration does not reverse relations with the island nation, ocean cruise lines are focused mostly on sending existing hardware there now and into the immediate future. Any likelihood that new river hardware and software is next established by such companies will likely be put on hold until they can better measure success or failure in the Caribbean. 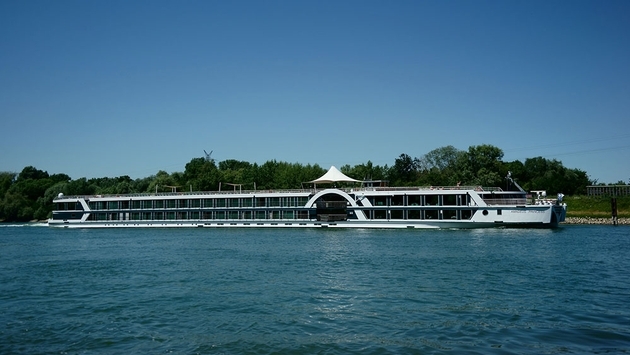 In the meantime, keep looking to Crystal River Cruises and Fred. Olsen River Cruises to pave the potential way for others.